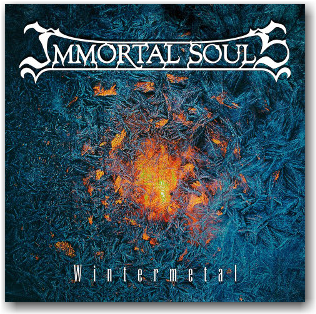 Rottweiler Records artist Immortal Souls recently released Wintermetal, the Finnish metal outfit’s eleventh release of their impressive career. This album is the blustery mountain peak of the Immortal Souls collection. Wintermetal is highly polished, and melody abounds without compromising the heaviness of this snarling beast. The band knows when to ease back, and when to unleash the guitar-led ice flurries. “Inverno” is a cool acoustic interlude that is literally the “Calm” before the “Snowstorm” (which is the title of the next track). “Grave of a Poet” is a relentless track; the guitar work keeps me locked, and there’s a tasty little breakdown at the end. Another highlight is the title track, which closes out the album. “Wintermetal” opens quietly and bursts into this chunky riff that carries through the song, It’s longest song of the album – clocking in at over six minutes – and is a cool culmination of the themes, energy and musicianship shown in the rest of the album. Wintermetal is breathtaking frost-bitten melodic death metal proving Immortal Souls to be seasoned musicians at the top of their game. Pick it up on iTunes, Amazon, or from the Rottweiler Records store.